In recent years teeth bleaching has become a huge phenomenon. More and more people are opting for teeth whitening to improve their smile. After looking at near perfect teeth of Hollywood celebrities and models, men and women of all ages are now using different methods available for teeth whitening. It is no mystery that whiter teeth give a more youthful appearance. 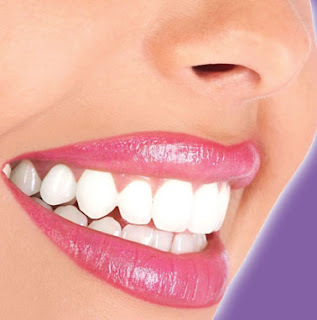 It is important to get the right information before opting for any kind of teeth whitening. There is a lot of confusion about which products to use, how to use, where to buy, consulting a dentist etc. There are also a lot of products on the market that are ineffective and costly. Many people are also unaware of the implications of teeth whitening. The controversy: Some dentists believe that tooth bleeding is more effective with the use of lasers and other sources of light, while others are of the opinion that the effect of tooth bleaching remains the same, with or without the use of lasers or lights. The light aids the bleaching process by quickly converting the peroxide into the reactive oxygen free radicals. The effect speeds up the bleaching process and also makes it more intense giving better whitening results. With the lights, all the ‘teeth fluids’ could be moving out of the teeth. So, bleach will have to go against the flow to get into the teeth. This could make for a very inefficient technique as the bleach is always fighting against the current. The final result of this may be that the teeth lose water or dehydrate and appear whiter for a temporary time, usually around 72 hours. After that they begin to recover and absorb water from the saliva, much like a sponge and they turn dark again. There are a number of factors that determine the end results of any tooth whitening products. One of the most important factors is the present state of the teeth. In general patients having a darker set of teeth show better results than lighter teeth. Also the degree of relapse of tooth whitening achieved will vary from patient to patient. Some patients are able to sustain their results for longer time than others. As a matter of fact, even the different teeth in a patient’s mouth show different results, despite using the same product. Teeth whitening , like any other treatment or surgical operation, needs to be done under the supervision of an expert. The high hydrogen peroxide concentration was related to increased sensitivity in teeth to hot and cold. Gum irritation was usual and the risk of ingesting the product overnight causing nausea, vomiting and a burning sensation. Not just for natural teeth. 2xday for 7 days serum that you mix by squeeze the ampoule and turn it upside down. 1 minute to apply. Safe and effective. Free oxygen molecules and hydrogen peroxide.